Tim Armacost is a saxophonist and composer, son of a American diplomat who spent large chunks of time in Japan (he speaks fluent Japanese)and India absorbing the culture and language whilst developing a passion for Jazz which he now plays in the US and around the world. Yoshi Waki is a first call double and electric bassist in NYC, from Japan, who first came to the US when he was 5 years old then after returning to Japan came back to the US to attend Berklee College of music at 19. It was fascinating to listen to these two superb musicians talk about some of their overlapping experiences in Japan and the US and play some swinging music together in the studio. Users who like Tim Armacost (sax) Yoshi Waki (bass) LMS with Howard Britz episode 7. Users who reposted Tim Armacost (sax) Yoshi Waki (bass) LMS with Howard Britz episode 7. 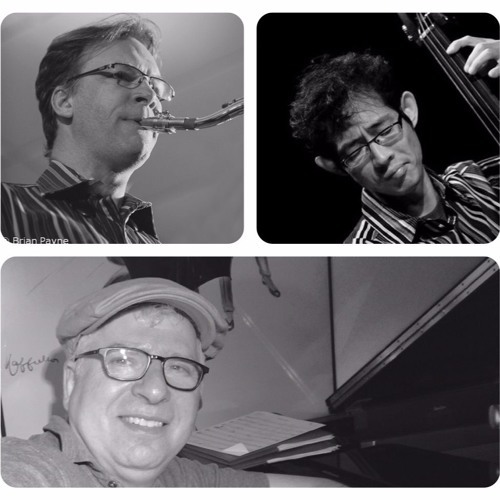 Playlists containing Tim Armacost (sax) Yoshi Waki (bass) LMS with Howard Britz episode 7. More tracks like Tim Armacost (sax) Yoshi Waki (bass) LMS with Howard Britz episode 7.